Leslie's Loops Craft Corner: In love with the C2C, big event, contest, and discount code! In love with the C2C, big event, contest, and discount code! First - let me tell you about my new website and online store - www.lesliesloops.com. From now until Monday at 5pm, you can go on the site and get 20% off your entire order. Type KNIT20 for the coupon code, and that's it! Why only until 5pm on Monday? Well, after 5pm, I am having a huge event that no one wants to miss! Check my Facebook page - Leslies Loops - for more info. I also have contest running where if you like my page, you can get two skeins of Plymouth yarn and a $10 Starbucks card! Check it out!! Have you visited The Crochet Crowd website? I follow them on Facebook, and LOVE the patterns and tutorials they post. 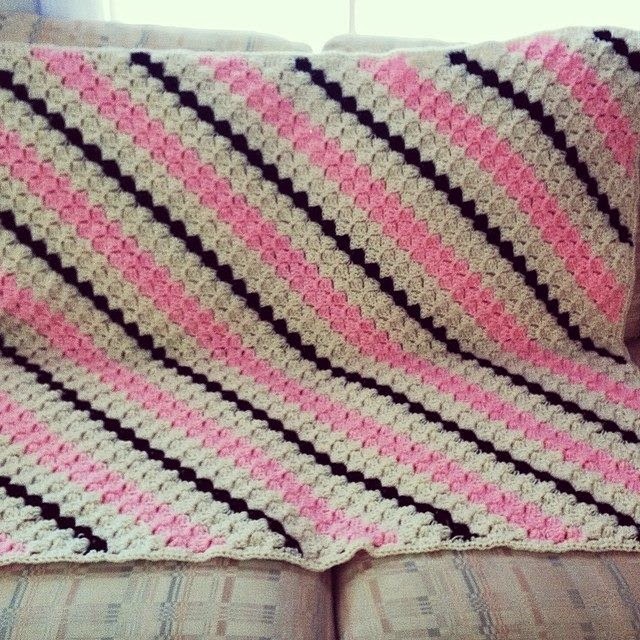 It's been up on their site for a while (and on Youtube), but I finally created the corner to corner afghan! It's an amazingly easy pattern. It works up so quickly, and the color combinations with this are endless! I hope you make one just as nice (or nicer), and check out my contest!